Add some more holiday cheer with a few New Years Eve cocktails this year! Comandon offers a limited collection of cognacs (only a few thousand bottles are produced annually) that are palette-pleasing and perfectly packaged (each bottle comes in its own case which is great for gifts). Couples will appreciate the VSOP, a blend of exotic spices with hints of brown sugar sweetness that make mistletoe moments just a mite merrier. 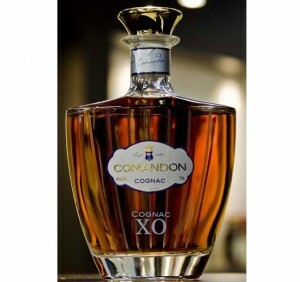 The XO, sold with an authenticated certificate signed by the company’s owner, is a subtle blend of orange, passion fruit, chocolate and a note of nut that gives cognac connoisseurs something mature and savory to sip on at soirees. To make Comandon a merry must-have on your naughty or nice list, click here. Bonus: Tantalize taste buds with the cognac concoction below. Shake all ingredients in a mixer and served chilled in a Collins glass. Sip and celebrate.